There are two keys you'll need to retrieve from your AWS account before Caylent can deploy stacks or apps to your AWS cloud. These are a matching 'Access Key ID' and 'Secret Access Key'. Follow the steps outlined below to retrieve these keys and connect your AWS account. 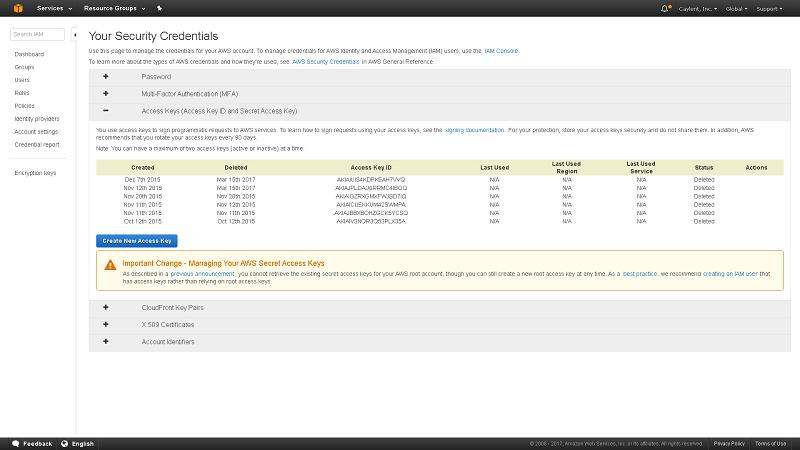 Access keys can be generated and managed in the Security Credentials section of the AWS user menu dropdown. If you are signed in using the AWS root account, you will see a screen like the one below. Click 'Create New Access Key'. Once signed in via Identity Access Management (IAM), navigate to Users > Select a User > Security Credentials. 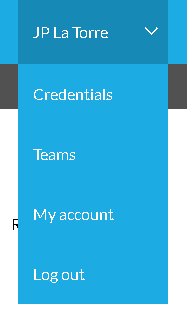 From the Security Credentials tab, click the 'Create access key' button. Please note: The IAM user will need to have full Administrator Access using the default AdministratorAccesspolicy attached to the group the user belongs to. A modal will pop up and display the generated Access key ID and Secret access key. 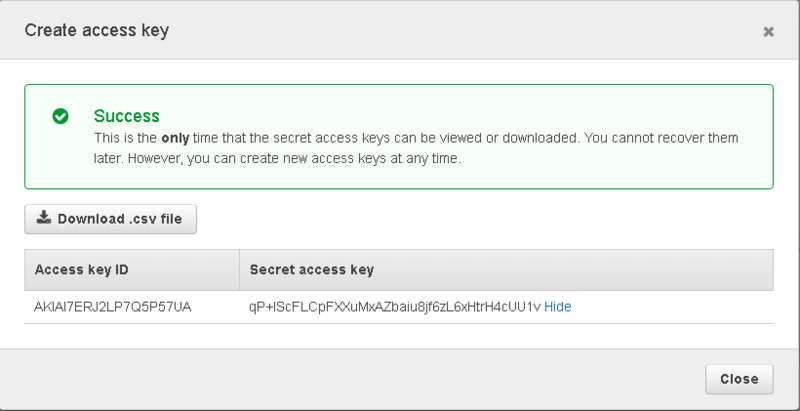 Make sure to download or copy your access keys, you'll need them when adding AWS as a provider in Caylent. 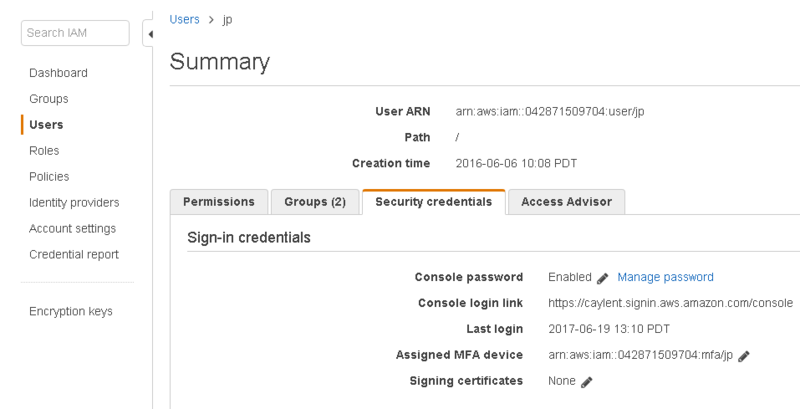 Click 'Add AWS' and input the Access Key and Secret Key that was generated in the previous step. Give your credential a unique name in case you need to add more keys later.